How can you unlock your life's purpose? 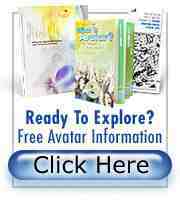 Avatar tools to create the life they desire. The international best-seller Living Deliberately: The Discovery and Development of Avatar is now available as a free download! Acrobat is a program that creates a common language for computers to use when exchanging files. The free Living Deliberately download is an Adobe Acrobat file, or PDF (portable document format).If you don't have Acrobat Reader, a free download is available at Adobe Acrobat Reader Download page. With Acrobat, you should be able to view and print the document with no loss in quality. This workbook contains 30 exercises that you can do alone, with a group, or in The ReSurfacing Workshop. The exercises take you beyond "someone's interesting theory" into the actual, tangible experience of your own mental power. The term "ReSurfacing," refers to the action of disentangling yourself from old creations and rising back into awareness. It is a process paralleling nature of revealing yourself to yourself. Rewards include insight and realizations into how your life works, or why it does not work.